This page was last updated on 19 January 2016. This is not the song I really wanted but so far I haven't found it so meanwhile you're listening to "Act Naturally" which is what most of my friends do. In November 2005 I met a woman I had been corresponding with for some time. Robin Hartman and I finally met when I spoke in Philadelphia. Her daughter's photo is on my Veterans page. Photo by Kimberly Dooley. I also met Lillian Martin a Gold Star Mother whose son died during the Vietnam War. Robin took this photo. In October 2004 I took part at the Glens Falls Chronicle Book Fair. Also there was WNYT-Channel 13 TV's Elaine Houston who was presenting her new book. Photo by Terry Waterston. One of the many places I really enjoy going every September is Skidmore, MO for Freedom Fest. I've made many friends there, most of whom are Veterans, and sometimes its difficult to get photos of them. 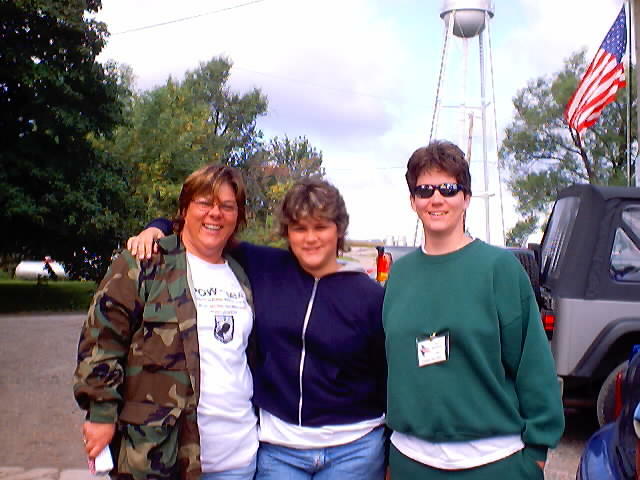 So when I took this photo I just happened to catch three of my friends together in one picture in September 2003. On the left is COL Ted Bitner a Gulf War Veteran. On the right is John Burnum who served in Vietnam. In the center is Carla Wetzel who heads the Freedom Fest Committee and does a great job of it! One of the women I continue to stay in touch with as often as I can is NBC's WNYT-Channel 13 TV's Benita Zahn in Albany, NY. I consider Benita a friend and supporter of my efforts to honor women. We usually try our best to get together for lunch when I'm in town. 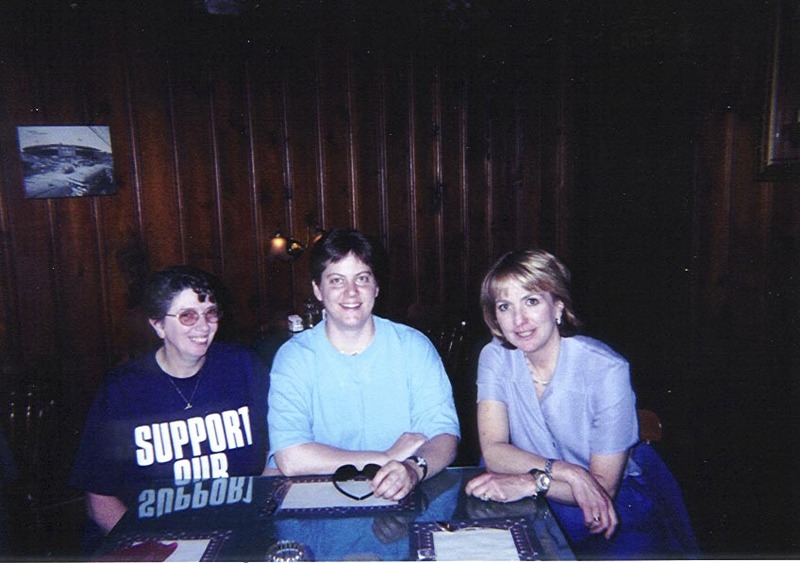 Recently Pam Waterston and I joined Benita at a local restaurant. Pam was thrilled to meet this news anchor who also does health segments and is a real down to earth, friendly, spunky gal! Sitting next to me is Pam and on the right is Benita. One of the waitresses took our photo. I have had many friends in my lifetime. Karen Allison is one of them. We've known each other since 1975, continue to stay in touch today and share an interest in history. 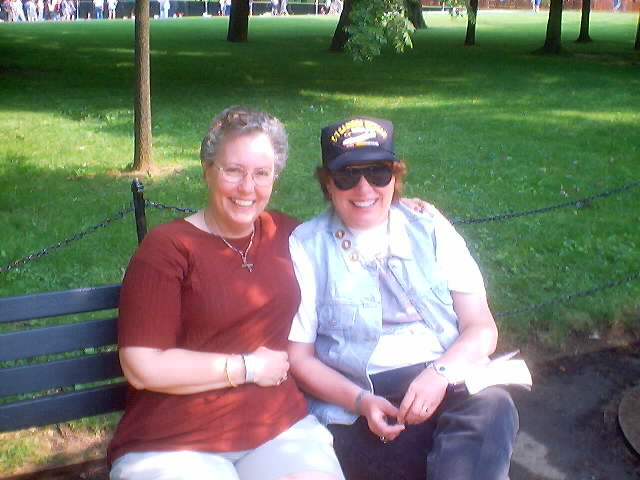 In June 2002 Karen and I visited the brand new World War II Memorial in Albany. 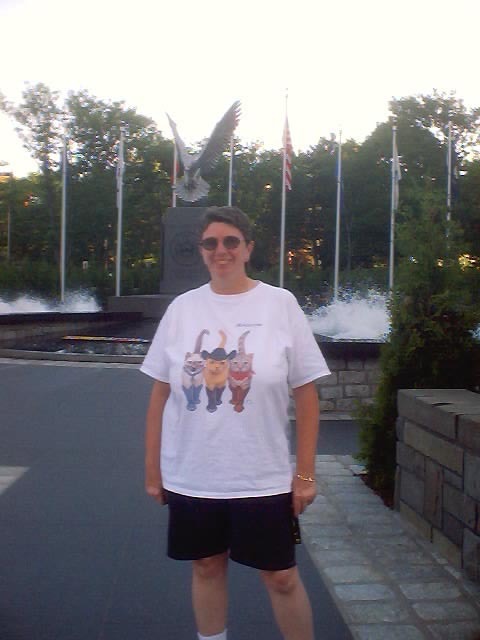 A part of the memorial can be seen over my shoulder in the picture on the right. We took each other's photo's. Memorial Day 2002 I was in Washington, DC. While I've known Patty Skelly Hopper for a long time--this was the first time I got to meet Cheryl Chung who was a nurse in Vietnam. She is married to David Chung who drove the truck which carried the Vietnam Women's Memorial from Arizona to Washington, DC in 1993. I thought it would be nice to post this picture now--Patty is on the left, Cheryl on the right. Photo by Noonie Fortin. In 2001 I went to Tampa, FL to speak again and met some other friends there. Recently I was sent a photo of some one of the groups of women I met. Left to right in this photo is Cathy Oatman (former WAC), Linda "Scooter" Watson (Former WAC, and Christina Sharik (an Army Mom). Photo donated by Christina Sharik. In 2000 I was speaking at the Nebraska Vietnam Veterans Reunion in Grand Island. I met a lot of new folks that trip. 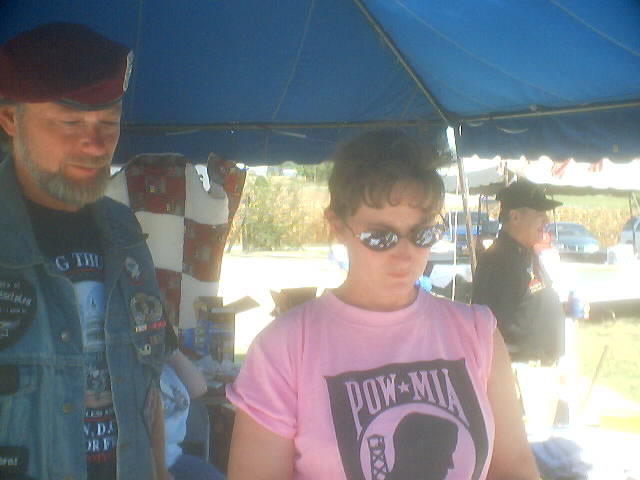 A few of them met up with me when I was at Freedom Fest in Skidmore, MO during September 2001. Left to right in this picture is Sue (Tortorella) Chapman, her daughter Katie Hoelscher, both from Manteca, CA, and my friend Pam Waterston from Richmond, VA. Photo by Noonie Fortin. Most of my friends are also Veterans. I've been corresponding with one of these Veterans for a couple of years via the Internet. In April 2000 we finally met face-to-face and I'm so glad we did. Since then we have become even closer. Linda "Scooter" Watson, a member of the Women's Army Corps, was one of many people who assisted during Operation Baby Lift taking orphans and refugees out of Vietnam in April 1975. 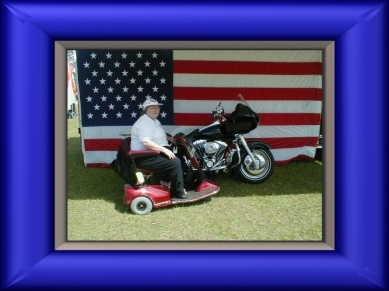 A few years later she was the only survivor of a tragic military truck accident in Alaska and became a 100% disabled Veteran. I'm glad we had the opportunity to meet and become friends. Scooter donated her favorite picture to me. I have many friends around the country but here are three special ladies. They went to all the Veteran functions I did and always wore their Colonel Maggie t-shirts. 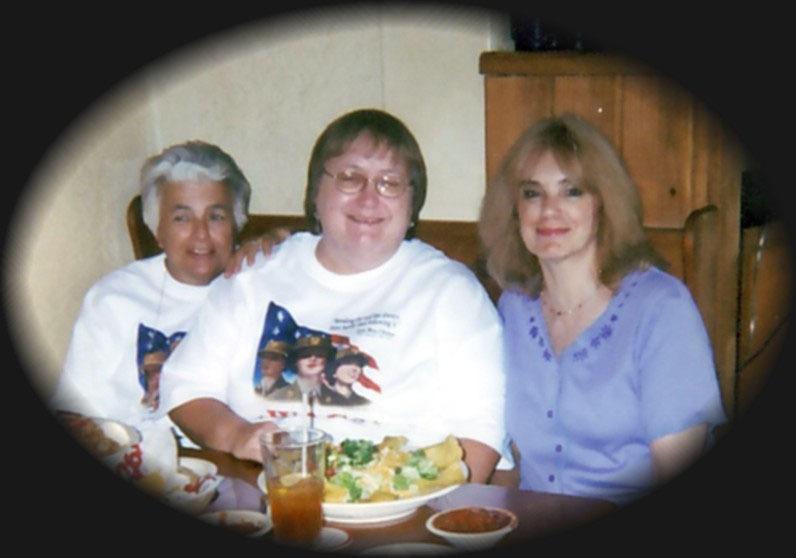 Left to right in the photo are Gail Bushnell, Donna Mullins, and Georgette Wildman. They are spouses of Vietnam Veterans. 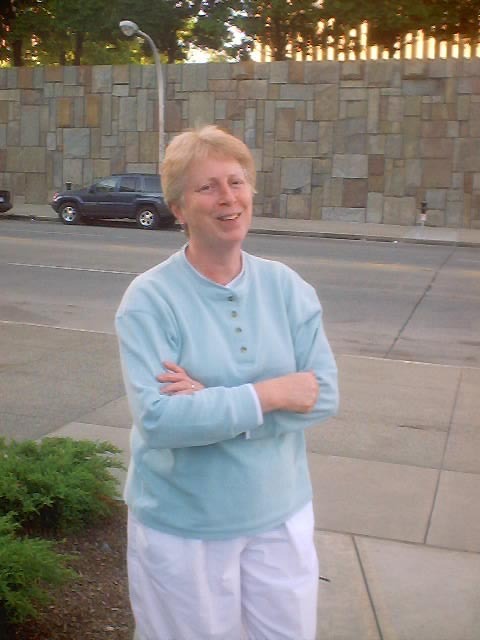 This particular picture was taken when we were in Pittsfield, MA for a parade. Photo by Noonie Fortin. Click on the picture to see the whole thing. Have you ever seen the movie "Fried Green Tomatoes"? 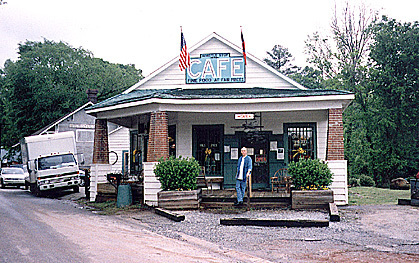 Well the site for the movie is not too far from where I was living in Georgia and The Whistle Stop Cafe is still in business. My friend Danny Proctor visited it in 1999 and sent me this photo. Since he told me about it, I have gone there several times--and yes--the fried green tomatoes are delicious! Photo donated by Danny Proctor. Use any of the buttons above to go to another photos page. Use the buttons below to go to another page. Copyright 2004-2016 by Noonie Fortin. All rights reserved.